The future of transportation has always been fun to imagine. One hundred years from now, will we be zipping around on jetpacks or soaring in flying cars? Will we be heading to the ski slopes via Hyperloop pod or teleportation? But such transformative technology isn’t just the domain of science fiction. Fully autonomous vehicles could be on the road by 2020, setting up the possibility of major changes to the way we transport both people and goods. Mines alumni are already playing an important role in figuring out how to best meet society’s demand for better transportation, particularly within growing cities. What those changes will look like remains to be seen, however, posing unique challenges for the engineers tasked with designing transportation infrastructure today to last decades. At CDOT, planning for the future means some construction to increase capacity, but also a stronger emphasis on using data to maximize operations, Laipply said. The North Interstate 25 expansion, between Johnstown and Fort Collins, and the Central 70 project through Denver will both include the installation of fiber-connected roadside units to facilitate vehicle-to-vehicle and vehicle-to-infrastructure communication. All new cars could soon be required to have digital short-range communication capabilities under a proposed National Highway Traffic Safety Administration (NHTSA) rule, enabling vehicles to talk to each other and share speed, heading, brake status and other information. NHTSA estimates that vehicle-to-vehicle and vehicle-to-infrastructure applications could eliminate or lessen the severity of up to 80 percent of non-impaired crashes. Another CDOT initiative, SMART 25, will put traffic sensors along roughly 13 miles of I-25, from RidgeGate Parkway in Lone Tree to University Boulevard in Denver. The data collected will be used by a computer algorithm to meter the cars merging onto the interstate in real time, with the potential to improve the efficiency of I-25 in that section by 20 percent. The effort could potentially expand to variable speed limits further south—slowing down the traffic coming up from Colorado Springs before it hits a backup further to the north. On the national level, the Federal Highway Administration recently conducted tests in Virginia on truck platooning—freight trucks equipped with cooperative adaptive cruise control so they can work and communicate with each other as they travel. That connectivity could mean reduced headways between trucks and faster, smoother freight transport, potentially in dedicated truck lanes, although there are still a lot of questions to be answered, Waidelich said. Underground construction is growing in popularity as a transportation option, particularly in dense urban areas, said Mike Mooney, Grewcock Distinguished Chair of Underground Construction and Tunneling at Mines. Cities including Boston and Seattle have undertaken large-scale projects in recent years to bury roadways and restore green space to the urban core. In Seattle, a double-decker downtown viaduct is being replaced with a 1.7-mile tunnel, making way for new public space along the city’s downtown waterfront. The Central 70 project in Denver will also lower a section of the interstate, removing the existing viaduct and adding a 4-acre parkland cap. At Mines, home to the first U.S. Department of Transportation-funded University Transportation Center dedicated to underground infrastructure, led by J.R. Paden Chair Professor Marte Gutierrez, researchers are working to make tunneling an even more viable option in urban areas. They are developing techniques to image ahead of tunnel-boring machines and collaborating directly with contractors to solve technical challenges on projects. 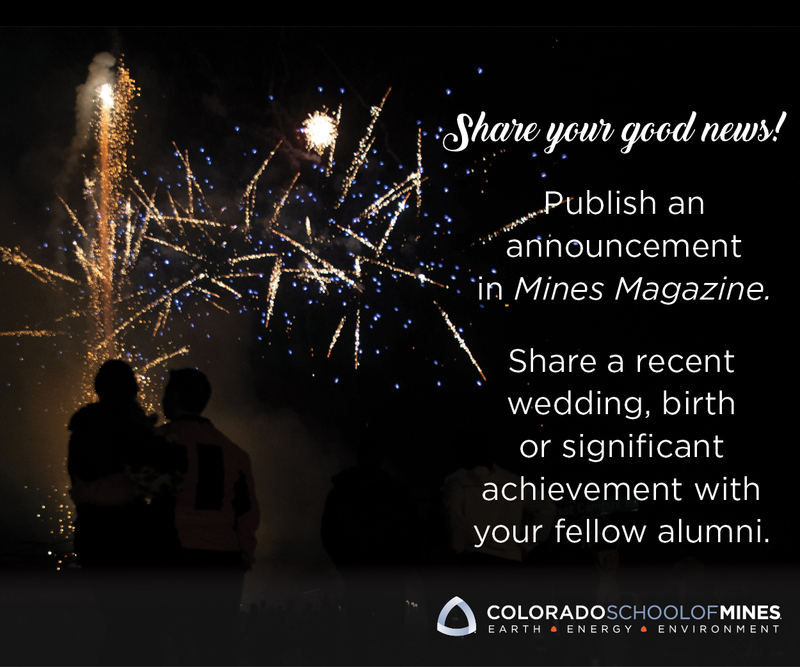 Mines is home to the only graduate program in underground engineering in North America. As more and more people move to cities, the transportation industry is also becoming increasingly mindful of the impact that new infrastructure projects can have on local communities, said Karen Furlani MS ’05, risk director at the engineering firm CH2M. “There’s a lot of discussion around a more holistic approach to transportation and looking at it not just from an economic capacity model but also a social placemaking perspective, to ensure the community around these transportation projects are places where people want to live,” Furlani said. In Colorado, CH2M is the program manager on the National Western Center, a decade-long project to transform 250 acres in north Denver into a year-round tourism, event, education and agricultural innovation center. Infrastructure changes will also help make way for a revitalized and accessible South Platte River, a top priority for the project. In the urban environment, those technical challenges go hand in hand with the challenges of stakeholder engagement and buy-in, she said. That includes not only the funding entities but also impacted residents and business owners, a constituency that will only grow as urban areas continue to densify. No matter what the future of transportation holds, though, Mines graduates should be well positioned to play an important role. Waidelich, who manages the daily operations of FHWA as its senior career employee, said he still relies on the “third gear” he developed during his time at Mines, that ability to work hard to solve problems. When James Sapegin moved into Mines Park his sophomore year, the walk to class wasn’t a particularly inviting one. Between the apartment complex and main Mines campus were four lanes of cars zipping by at 50-60 miles per hour—which pedestrians and cyclists had to cross at grade. Things look a lot different today, thanks to a recently completed $25 million infrastructure project that lowered U.S. 6 below 19th Street and created a parkland “lid” with paved trails, park space and a small amphitheater at one of the main entrances to campus. Mines’ connections to the major infrastructure project, though, go beyond current and future students. Eight Mines alumni worked on the new interchange as engineers and project managers for the Colorado Department of Transportation (CDOT), general contractor Kraemer North America, civil engineering firm IMEG and subcontractor HTM Construction. “It was so cool being able to go back and have a positive impact on the school,” said Neil Ogden ’08, a CDOT project manager involved in the design phase. In Colorado, it’s actually not that unusual to have multiple Mines graduates on major infrastructure projects, said Mike McNish ’03, project manager for Kraemer North America, which specializes in heavy highway construction. But this one was special, given the tie to their alma mater. McNish was involved in the project’s design phase, working with the city, CDOT and Mines to get the project in budget, address constructability concerns and come up with a plan for construction phasing. Funding for the project came from all three public entities. Kraemer also sponsored two Mines Senior Design projects during the design phase, one where students analyzed some of the drainage and water quality features and another looking specifically at the bridge design.